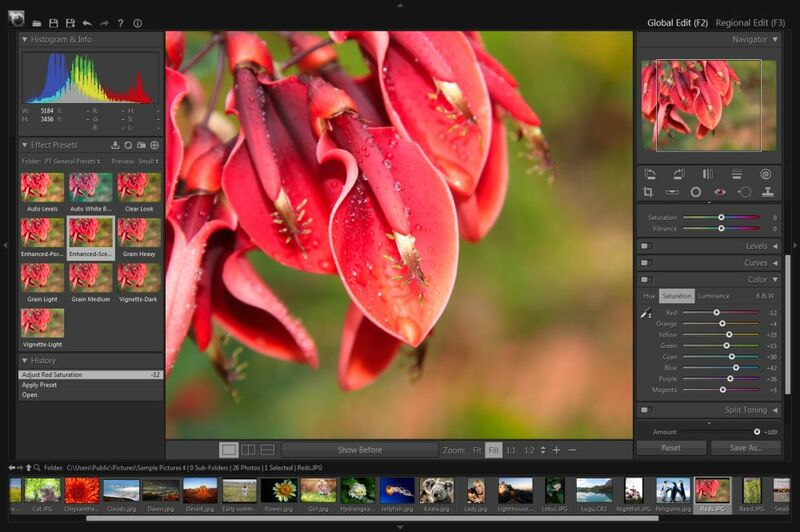 An efficient application designed to edit photos like a professional. 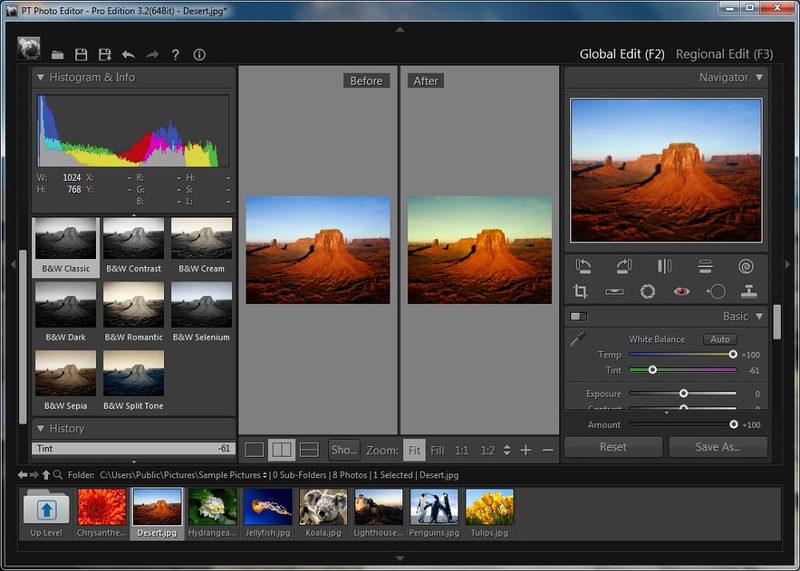 PT Photo Editor Pro 3.2 was available as a giveaway on April 7, 2016! 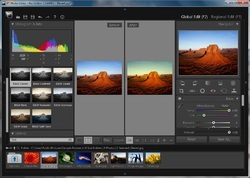 PT Photo Editor is an efficient application designed to edit photos like a professional in an easier and faster way. You can easily correct color cast and exposure problem, remove imperfections, do quick selective editing and much more. Save 40%! Exclusive discount for GOTD Users: Enjoy PT Photo Editor and lifetime free upgrades for only $17.97. Coupon code: GOTD-TRLQ (Expires April 14, 2016). Don't miss this offer. If you like this software, follow Photo-Toolbox.com on Facebook or Google+. How would you improve PT Photo Editor Pro 3.2? ..see a program which allowed "clipping"
... add or correct geotagging, edit EXIFs. After installation, when you first launch the program, it will activate online automatically, so you don't need to do anything extra to activate the program. After activation, the License type in "About" window will change to "Giveaway". Besides the default presets with PT Photo Editor, we're continuing to post new effect presets on our website. You may follow our new Facebook/Google+ page to get the latest news for presets and more. Hope you will like some of them. If you missed today's giveaway, you may try PT Photo Editor - Free Edition. You can also find the difference between Free and Pro editions there. Today we also have a special offer for you: All our products(including PT Photo Editor Pro, PT Portrait and SkinFiner) are 40% off with lifetime free upgrade. Coupon code: GOTD-TRLQ (Expires April 14, 2016). PT Portrait is an easy to use portrait retouching software. With PT Portrait you can quickly fix skin imperfections, reduce wrinkles, smooth skin, improve skin tone, enhance eyes and lips, whiten teeth and reshape your face. Give your portrait a professional look. SkinFiner is a time-saving photo editing software designed to free you from tedious manual labor in skin retouching. It helps you smooth and enhance skin, get a perfect portrait result in an easy and fast way. Hi, Caspar Lee, thank you for being present here. You already gave us PT Photo Editor standard 2.1.2 here in November 2014. Could you please tell us (or give us a link) the main differences and improvements? ouialaraison, we've added many features since 2.1.2. You can find the upgrade details at the bottom of the download page. If it does not install with your anti virus on then something is being installed in the back ground. Do not turn your anti virus off, just do not install. Nothing is 100% free. And always create a restore point because some of these programs have no removal programing. An example is nch. Program loaded fine to Windows 7, 32 bit. I was able to install it to a partition that I wanted etc. Looks to be a very useful tool for the editing I need to do. I don't particularly like the dark feel of the GUI though. Thank you Casper and GOTD. Program loaded fine to Windows 7, 32 bit. I was able to install it to a partition that I wanted etc. Looks to be a very useful tool for the editing I need to do. I don't particularly like the dark feel of the GUI though. Thank you Casper and GOTD. Please, can someone tell me how to open the program once it has been successfully activated? The program placed a shortcut on my desktop. Perhaps you need to refresh your desktop to see the shortcut? Julie, The program placed a shortcut on my desktop. Perhaps you need to refresh your desktop to see the shortcut? No shortcuts anywhere. No program in the files. Nothing in the start up menu. Have restarted computer. olrowdy01, No shortcuts anywhere. No program in the files. Nothing in the start up menu. Have restarted computer. How do I locate the program once I get the "Successfully Activated" message? Usually, I will see a shortcut on my desktop, etc, but I can not find it anywhere. I'm using Windows 10. Julie, If you went with the default install... "C:\Program Files\PT Photo Editor\PTPhotoEditor.exe"
The program is not there. I did look. I really don't understand as I download, run setup, get a "successfully activated" message, but the program is nowhere to be found. casper, The program is not there. I did look. I really don't understand as I download, run setup, get a "successfully activated" message, but the program is nowhere to be found. Time & time again we read complaints about the difficulty in downloading programs from GOTD. So far, over many years, I have never had a problem with downloads from this site. Perhaps if people read the instructions a little more carefully we wouldn't be seeing all these complaints. Todays program downloaded for me with no problems whatsoever. Hi Gunyah, seeking solution is never a sin my Friend. I'm sure Folks don't make it up when something does not work and bringing it onboard here can only benefit many, as some kind soul will always try to help. 'I'm ok Jack' looks rather selfish? Glad it works for You thou. Have you had the thought that maybe there is a reason that people ask question? I'm happy for you that it is always running smoothly for you. But even I sometimes encounter problems when I download from GOTD in these cases there is a licencekey in the readme file. Then I use I download from the company's website where the program / app is. 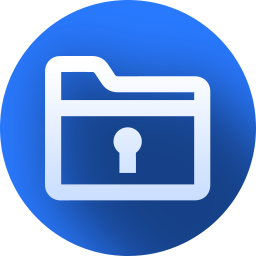 ("Free to try") and then uses licencekey available in the README file. I feel pretty confident that I can handle my PC. My first PC was a 16MGHZ CPU and Windows 3.0. When then Windows 3.1 came and I could hook me up with my 4.400 modem online WOW. To ask is to learn and it is important to always dare to ask. And if any question that anyone dare to ask. it clearly shows the lack of understanding from those who criticize the person who dared to ask. Just downloaded and installed with no problems. The "About" does say Giveaway so I guess everything is activated properly. Just opened a Nikon NEF file with no problem. I am using Adobe Lightroom and this has many of its features. No Keywording or Facial Recognition though but can't complain about something when it's free. I just played around with it a bit and it is very easy to use. If I wasn't committed to Lightroom because of its organizing capabilities, I would make this my primary editor but will probably bring it up anyway if I need a quick solution. Thank you GOTD and thank you Casper Lee. The interface is modern with deep colors, decent contrast and decently labeled buttons and functions. The dark gray/light gray combo isn't everyone's cup of tea, but it's lovely and works well for me. I really appreciate the use of larger fonts. The layout is pleasant and so far, it's been easy to get to main editor functions (crop, auto-contrast, etc). I'm hoping this will be my mid-point between Zoner and Photoscape, and it's looking to be a good fit. I experienced (for the first time in a few years of using GOTD) issues with installing this program. Upon clicking setup.exe, it only opened the final GOTD page and nothing else. Even disabling AVG & my firewall didn't help. Finally, rebooting AND disabling my protection allowed installation. This, IMHO, is just as big of an annoyance as the FB/email/opt-in/surly combo. Please, in order for me to ever use this program again and even consider purchasing beyond this, for the love of Thor, WHERE IS THE RESIZE FUNCTION? Without it, this program can be of no use to me. I don't mean batch resizing, just a simple pixel resizing of a single image on the screen. Thank you for this GOTD, and I hope for a reply so I can continue to support this particular program. The interface is modern with deep colors, decent contrast and decently labeled buttons and functions. The dark gray/light gray combo isn't everyone's cup of tea, but it's lovely and works well for me. I really appreciate the use of larger fonts. The layout is pleasant and so far, it's been easy to get to main editor functions (crop, auto-contrast, etc). I'm hoping this will be my mid-point between Zoner and Photoscape, and it's looking to be a good fit. Two issues: I experienced (for the first time in a few years of using GOTD) issues with installing this program. Upon clicking setup.exe, it only opened the final GOTD page and nothing else. Even disabling AVG & my firewall didn't help. Finally, rebooting AND disabling my protection allowed installation. This, IMHO, is just as big of an annoyance as the FB/email/opt-in/surly combo. Please, in order for me to ever use this program again and even consider purchasing beyond this, for the love of Thor, <b>WHERE IS THE RESIZE FUNCTION?</b> Without it, this program can be of no use to me. I don't mean batch resizing, just a simple pixel resizing of a single image on the screen. Thank you for this GOTD, and I hope for a reply so I can continue to support this particular program. 1. Our installation file is absolutely clean, but GOTD wrapped it as a new EXE file. I guess the security issue may be caused by this behavior. 2. You can find RESIZE function in the "Save As" dialog. Caspar Lee, thank you. Unfortunately, only being able to resize upon saving isn't good enough for even basic needs. The program doesn't even tell me what percentage view I'm currently in (could be 36%, 83%, who knows...). It's important to see all changes as we work on an image, step by step. Resizing at the end, and without a preview, can result in a potentially distorted view and extra unnecessary steps. Honestly, I like most everything else about your program (maybe add "SAVE AS to original location as an option also), but "RESIZE" is a most basic function found in programs way less sophisticated. Thank you, but this user must pass. Caspar Lee, thank you. Unfortunately, only being able to resize upon saving isn't good enough for even basic needs. The program doesn't even tell me what percentage view I'm currently in (could be 36%, 83%, who knows...). It's important to see all changes as we work on an image, step by step. Resizing at the end, and without a preview, can result in a potentially distorted view and extra unnecessary steps. Honestly, I like most everything else about your program (maybe add "SAVE AS to <em>original location</em> as an option also), but "<b>RESIZE</b>" is a most basic function found in programs way less sophisticated. Thank you, but this user must pass. This program is simply awesome, and without over-complications. Just realized it's raw compatible, so for all those pics you just want to knock off the camera and get moving, this it the Swiss knife. For some detailed works, you will still need PS or Gimp, but I don't get to do those very often, so this is just ideal. Looks like Zoner, but simpler, easier and less complicated. Thanks to the developer for offering it, and GOTD for bringing it to the community. Had the same problem with Zoner Photo. And looked forward to a working photo editing software. It is very irritable that the installation looks gone well. But there is no application even though the message says that it has gone well. To disable virus program does not help. AVG Free Edition What should be done so that it is possible to install PT Photo Editor Pro 3.2 ???? Windows 10 64 Had the same problem with Zoner Photo. And looked forward to a working photo editing software. Karl-Magnus, I have AVG free on my Win 10 computer and disabling it allowed me to download software from GOTD again. Just make sure you disable it from inside the AVG program. Instant, painless, complete installation and automatic registration (to Giveaway) on my Win 7 x64 machine. 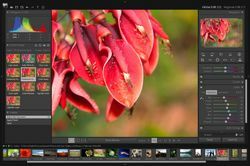 I am always looking for great photo editing software at a reasonable price, and this program looks like it will be VERY useful! Thanks so much, GAOTD and Photo-toolbox! Installed with anti-virus program disabled but would not activate. It kept trying to activate but kept failing. Is there a code that I can use to activate the program? This looks like a nice photo editor. Thank you for including the ability to work with RAW files. I was able to pull up photos taken with my Nikon D90 (*.NEF) files without any problems. It's always good to see a developer/vendor take an active part in answering questions from users. It always makes it feel more worthwhile giving a program a try. It's always good to see a developer/vendor take an active part in answering questions from users. It always makes it feel more worthwhile giving a program a try. I was advised as a workaround to disable Kaspersky plus stop it running on start up. Reboot PC and download, install and test Giveaway without antivirus running. Then enable Kaspersky and reboot again I guess. It was also suggested to see if Kaspersky could re-write their software to run with GOTD! I was advised as a workaround to disable Kaspersky plus stop it running on start up. Reboot PC and download, install and test Giveaway without antivirus running. Then enable Kaspersky and reboot again I guess. It was also suggested to see if Kaspersky could re-write their software to run with GOTD! Activates on GAOTD then stops setup. Anti-virus off, Firewall off -- this is not unusual, I often have to forego GAOTD giveaways due to this since the new format. PITA, not worth the waste of time. perhaps if you stopped doing things through FB they would work. Wow, easy install, NICE program!! Thank you so much!! Easy Setup on Win 10 Pro. Works well! Thank You! Downloaded and installed with no problems. 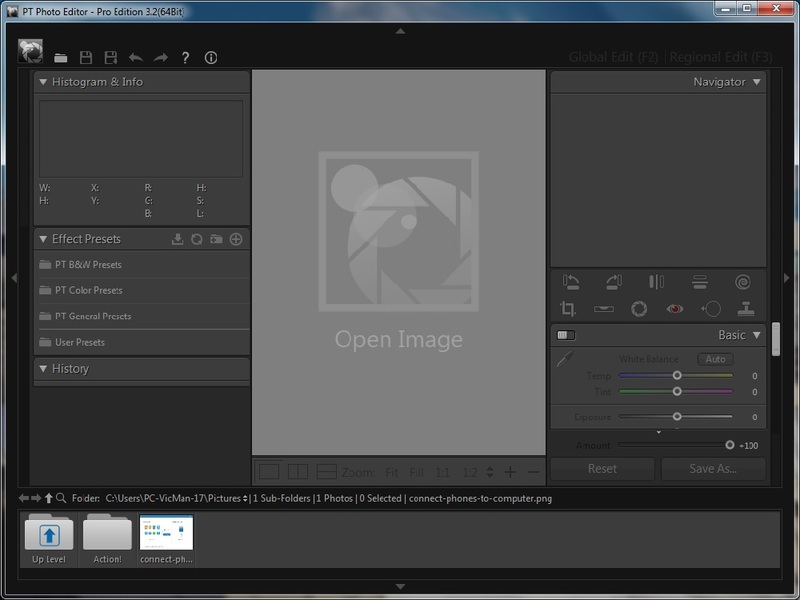 This is going to be a very nice and handy photo Editor. Downloaded and installed with no problems. This is going to be a very nice and handy photo Editor. Thanks for the Giveaway..
Downloaded and installed fine. Opened it and was unable to read any of the .75 agate type face. Tried a few things to enlarge, but no joy. Even the photo I loaded could not be enlarged. Sure there is some trick to setting a larger type, but none of the windows tricks I know (ctrl+) worked. Useless if I can't see anything. Unloaded. Thanks anyway. I have no comment on the program, since I don't need it. But I do have something to say on the installation oddities. Ever since the introduction of the .GCD file in setups, I have found it possible only to install by going into Safe Mode. Closing Kaspersky alone did not help, so there must be interference also from spyware programs - perhaps Windows Defender, but I have at least two others running. This is so inconvenient that I do not accept any program unless it reads like a really worthwhile trial. I have no comment on the program, since I don't need it. But I do have something to say on the installation oddities. Ever since the introduction of the .GCD file in setups, I have found it possible only to install by going into Safe Mode. Closing Kaspersky alone did not help, so there must be interference also from spyware programs - perhaps Windows Defender, but I have at least two others running. This is so inconvenient that I do not accept any program unless it reads like a really worthwhile trial. Brian Haylett, for me it was AVG giving me issues on my Win 10 computer. Windows Defender seemed to handle GOTD fine. Installed PT Photo Editor and automatically activated. Tested with a hotel lobby shot under very warm ambient incandescent light. Whole photo was yellowish. Used the Auto button for 'White Balance" click once. Then saved the edited photo with [Saved As ]. Installed PT Photo Editor and automatically activated. Tested with a hotel lobby shot under very warm ambient incandescent light. Whole photo was yellowish. Used the Auto button for 'White Balance" click once. Then saved the edited photo with [Saved As ]. Result: Very Good. Giveawayoftheday.com of software will not install. After running setup.exe shows "Successfully activated" and that's it, and unfortunately nothing to install. I had the same problem with other software here. I wonder if that's done on purpose or what is wrong. Have I read somewhere that a few others have the same problem with installing software from here. I apologize for perhaps not too accurate translation Google Translate. Giveawayoftheday.com of software will not install. After running setup.exe shows "Successfully activated" and that's it, and unfortunately nothing to install. I had the same problem with other software here. I wonder if that's done on purpose or what is wrong. Have I read somewhere that a few others have the same problem with installing software from here. I apologize for perhaps not too accurate translation Google Translate. Occasionally had a similar problem caused by anti-keylogger program when downloading from this site. Uninstaller programs are often useful when this happens and generally helpful as to where things have been installed. Gryzzli, Occasionally had a similar problem caused by anti-keylogger program when downloading from this site. Uninstaller programs are often useful when this happens and generally helpful as to where things have been installed. Hope this helps. Thank Giveaway of the Day for advice. It helped off the antivirus (AVG). Maybe it would be good to the installation files do something else, so that it does not obstruct antivirus programs. With other software problems are usually elsewhere. Thank Giveaway of the Day for advice. It helped off the antivirus (AVG). Maybe it would be good to the installation files do something else, so that it does not obstruct antivirus programs. With other software problems are usually elsewhere. Bought this as v2.7. Very nice tool. Has replaced Zoner as my "go to" app for photo editing. Non-cluttered. Well organized. Frequently updated. Great giveaway. Downloaded with ease. I love that I didn't need to share on Facebook or have an email sent. I do like the GUI. While the gray on black is faint at first, once you load a picture, it "brightens". Don't be discouraged by that. I put a picture in that was somewhat a blur. I was able to brighten it and enhance it such that it looked "normal". This program is a definite keeper! Above, you mention we can have a lifetime licence for $17.97. This converts to £12.76, so why when I go to your purchase page am I being asked for £17.28? ooveevoo, I'm sorry for the trouble and thanks for telling us this mistake! We've corrected the price in GBP, please check it again. Caspar Lee, No you haven't, still coming up as £15.12 with discount. george, VAT must be included in your price, the policy may be different in each country. george, that price would likely be correct as there is 20% VAT added on top of the cost as applicable under UK law. Installed no problem Win10 64. I tried to correct the White Balance several times on a jpg, each time un-doing for another attempt. Unsatisfied with the results I attempted to open another photo (jpg). When asked if I wanted to save the first I checked "No". The program immediately crashed. After the crash I was asked if I wanted to submit a report. After filling in all the blanks including my report I needed to enter the captcha of approx 7 characters, however the captcha box only accepted 2 characters so I couldn't send it. I restarted the program and tried opening the second photo again and the program immediately crashed again. So far, I'm not liking this program! Installed no problem Win10 64. I tried to correct the White Balance several times on a jpg, each time un-doing for another attempt. Unsatisfied with the results I attempted to open another photo (jpg). When asked if I wanted to save the first I checked "No". The program immediately crashed. After the crash I was asked if I wanted to submit a report. After filling in all the blanks including my report I needed to enter the captcha of approx 7 characters, however the captcha box only accepted 2 characters so I couldn't send it. I restarted the program and tried opening the second photo again and the program immediately crashed again. So far, I'm not liking this program! Carl, I'm sorry for the inconvenience. Could you please send a sample picture file to us for analyzing? Or just tell me the brand and model of your camera/phone? Thank you very much! Caspar Lee, Thanks for identifying the problem (Metadata). After hearing back from you I tested using a pic already known to crash the program. On the first attempt the pic, as expected, crashed the program. I removed the metadata using Thumbs+ and tried again and this time had no problem opening and working with the pic. I really appreciate your help. It looks like I'll be using this program a lot. created \Presets\Global\Bag O Trix and dumped presets in. This baby had brought a tear to my eye, not kidding. I edited a pretty darn good photo of my family member and quickly got to the meat of making it really look pro, and it suddenly dawned on me I Might be looking at this person in the past tense. Good grief, instant tears. MAIN things that stands out to ME. No Cut an Paste to other photo editing gui programs, love to tweak back and forth but no joy, Tried INVISIBLE CTR-C CTR-V and PRAYER -- no joy.. waaaa --can't have everything. Is it possible with this programme to cut & paste an object from one image to another? Erik Skytte, PT Photo Editor can't do this currently, but we'll consider adding this kind of features in the future. Charlie, Gimp and PT Photo Editor are completely different, and nobody knows your requirements, so I think the best way to get the answer is trying it your self. "If you are already a heavy user Gimp editor, does PT Photo Editor have features that would make it an attractive alternative?" PT Photo Editor is a quick & easy image editor without the more complicated features that make The GIMP harder to learn & use, but also make The GIMP worthwhile if you're into more advanced editing. Put another way, as a heavy [I assume advanced] GIMP user, you might find PT Photo Editor useful for basic adjustments on all of your photos, using The Gimp just for those special few that warrant the extra attention & work. Charlie, <i>"If you are already a heavy user Gimp editor, does PT Photo Editor have features that would make it an attractive alternative? 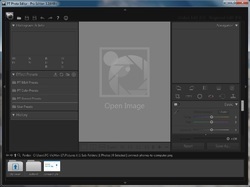 "</i> PT Photo Editor is a quick & easy image editor without the more complicated features that make The GIMP harder to learn & use, but also make The GIMP worthwhile if you're into more advanced editing. Put another way, as a heavy [I assume advanced] GIMP user, you might find PT Photo Editor useful for basic adjustments on all of your photos, using The Gimp just for those special few that warrant the extra attention & work. Before I saw today's Giveaway I checked wether I had any other version of this Program already, and yes, indeed I had, but when I opened it - it stated 'Free Edition', so checked the date and it took me to this Giveaway: https://www.giveawayoftheday.com/pt-photo-editor-2-1-2/ Now, that's odd since I tested it (then) and also left a Comment afterwards (btw, Comments of Karl and Giovanni are still worth reading, as usual, when found!). So why would this particular Copy show 'Free Edition'?? I did not un-installed it myself, or lose it. Today's Installation of PT PhotoEditor Pro went to the same Folder as that from November 2014 and replaced the other one, showing afterwards Pro version and licensed to Giveaway. Looks to me that it CAN expire after a while!?? Hope this one DOESN'T!.. The Program itself is quite a neat, useful Photo Tool worth keeping! I can see I had few reservations before, but they can be 'over-looked', as the value of Presets and naturally rather easy adjustments that can be applied additionally speak for themselves. I also downloaded 5 more Presets today from PT Site and after extracting them to my desktop I dragged them into Presets ('Global', and next 'General') Folder of PT PhotoEditor. They all have ptpep extensions and show in the Console of Editor without problem. Recommended. Hi, about Installation: Goes without any other choice to C:Program Files, that's it. I personally dislike this behaviour, as I might have the same Program already there, which version I would like to keep (own settings, or Feature that later is either modified or removed..) Before I saw today's Giveaway I checked wether I had any other version of this Program already, and yes, indeed I had, but when I opened it - it stated 'Free Edition', so checked the date and it took me to this Giveaway: https://www.giveawayoftheday.com/pt-photo-editor-2-1-2/ Now, that's odd since I tested it (then) and also left a Comment afterwards (btw, Comments of Karl and Giovanni are still worth reading, as usual, when found!). So why would this particular Copy show 'Free Edition'?? I did not un-installed it myself, or lose it. Today's Installation of PT PhotoEditor Pro went to the same Folder as that from November 2014 and replaced the other one, showing afterwards Pro version and licensed to Giveaway. Looks to me that it CAN expire after a while!?? Hope this one DOESN'T!.. The Program itself is quite a neat, useful Photo Tool worth keeping! I can see I had few reservations before, but they can be 'over-looked', as the value of Presets and naturally rather easy adjustments that can be applied additionally speak for themselves. I also downloaded 5 more Presets today from PT Site and after extracting them to my desktop I dragged them into Presets ('Global', and next 'General') Folder of PT PhotoEditor. They all have ptpep extensions and show in the Console of Editor without problem. Recommended. Hi fran, when you first install the program, you can specify its installation path. If you have an old version in your computer, it will upgrade automatically without losing all your previous settings and presets. The giveaway won't expire, expect you uninstall it or overinstall it with other version of PT Photo Edior. Hi Casper Lee, thanks for clarifying that for me in the instance of PT PhotoEditor, really appreciated. Points I was making earlier still stand thou, because not EVERY Program will automatically 'remember' user's settings (sometimes it asks about choice of keeping them), or automatically find once selected Installation path. Here - I really like that decision to be left entirely to PC users, who after all should have final word what goes where on their computers, what stays as it is, what may be uninstalled and REPLACED with newer version a.s.o??.. Finally - I did not make my copy of previous PT Editor 'Free' with less Features, why would I degrade fully functioning Copy:)? Downloaded and installed flawlessly with NO hassle. But the interface is so small I can barely read it on my Dell XPS 15 laptop using Windows 10. If there is no remedy for this I won't be able to use the software. Downloaded and installed flawlessly with NO hassle. But the interface is so small I can barely read it on my Dell XPS 15 laptop using Windows 10. If there is no remedy for this I won't be able to use the software. Clyde Byrd, I'm sorry for the inconvenience. V3.2 is not compatible with high-DPI display devices. We have fixed this on V3.7. And all the latest version of our products support high-DPI now. Caspar Lee, Thanks. And thanks for supporting GAOTD! I've never left a comment before but this program deserves one. There is almost no learning curve with this editor, it's easy and fun to use. Loads and runs quick. Easy to navigate. I especially like the feature wherein, while editing, if you press the space bar, your original photo appears until one releases the space bar. Thank you for this...I'm lovin' it. I've never left a comment before but this program deserves one. There is almost no learning curve with this editor, it's easy and fun to use. Loads and runs quick. Easy to navigate. I especially like the feature wherein, while editing, if you press the space bar, your original photo appears until one releases the space bar. Thank you for this...I'm lovin' it. This is a really good and easy to use Photo Editor. I would suggest anyone trying it should go to the publishers site and check out the tutorials on how to use it. Thank you Giveaway Of The Day & Photo Toolbox! This is a really good and easy to use Photo Editor. I would suggest anyone trying it should go to the publishers site and check out the tutorials on how to use it. Thank you Giveaway Of The Day & Photo Toolbox! The GUI is unusable. Grey on black: Too hard to realize - deinstall. Mike, you're right, the interface is almost unreadable, ridiculous. Is there no menu bar? Is there no settings/preferences screen?? I would expect those to be there, both because they're standards and because surely this program must let you change the color scheme from dark gray on black. A really unpleasant interface at every level, horrible combination of colours and almost unusable selection process. But at least it's fashionable! Mike, A really unpleasant interface at every level, horrible combination of colours and almost unusable selection process. But at least it's fashionable! (Without looking at the program yet) I've always had problems with darker color combinations (& I'm sure I will with this also). > I'm sure I will with this also Exactly! ... and I like the soft! ... and there is sunshine over Paris this morning! Now THIS is the giveaway of my dreams! It begins downloading right when I click the download button (I had a start of surprise: WHAT?!!! No mention of Facebook, email adress etc.? ), it installs smoothly over previous version, it registers by itself (again, no email address required, no checking the spam folder, waiting for the key, or for a link to the key, or for a link to a form to fill to get the key...) ... and I like the soft! ... and there is sunshine over Paris this morning! With no raw support, it shouldn't pretend it can open and edit raw files. This is bad behaviour. Mudo J., V3.2 doesn't support raw file well. From V3.6, PT Photo Editor supports extracting RAW in 16-bit format. Caspar Lee, I work almost exclusively in RAW format, I guess I'll wait for the next version. Caspar Lee, thank you for your answer, but I still think there should be a little warning, informing non-experienced users, that they can only "edit" embedded preview jpg, which is worse than nothing, and not the actual raw file. I have briefly tested version 3,7, and it still doesn't work properly. It can't open legitimate raw files with missing or changed jpg preview. Caspar Lee, thank you for your answer, but I still think there should be a little warning, informing non-experienced users, that they can only "edit" embedded preview jpg, which is worse than nothing, and not the actual raw file. I have briefly tested version 3,7, and it still doesn't work properly. It can't open legitimate raw files with missing or changed jpg preview. Mudo J., Could you please send a sample RAW file to support#photo-toolbox.com(replace '#' to '@') for analyzing? Thank you very much! Then I made a cr2 with modified jpg preview (via ExifTool) and two dng files, with small and without preview jpgs. Your version 3.7 (in a virtual machine) seems to handle them as expected. Version 3.2, as you said, can not. Caspar Lee, instead of my test cr2 file with additional metadata, I took this very common sample: http://www.imaging-resource.com/PRODS/T3I/T3IFARI00200.CR2.HTM Then I made a cr2 with modified jpg preview (via ExifTool) and two dng files, with small and without preview jpgs. Your version 3.7 (in a virtual machine) seems to handle them as expected. Version 3.2, as you said, can not. Examples: http://filebin.net/7jrcdcekly Have a nice day! I thank you for the useful program PT Photo Editor that I like. After installation, upon launching, I keep getting an error message: "Activation failed. Server error." Is the problem by me or by the developer? Aryeh Naiman, The program needs connect to our server(photo-toolbox.com) to activate itself. Please make sure your firewall didn't block it. I got the same message, but it looks like all is working, regardless. Always brilliant, and now even more bits to fiddle with. Also I've noticed a massive speed increase, especially on loading. I've recommended this to everyone ever since I discovered it, and will continue to do so. Thanks very much. What can I say? This became my go-to photo editor with the last giveaway, and now I get a free upgrade :~) Always brilliant, and now even more bits to fiddle with. Also I've noticed a massive speed increase, especially on loading. I've recommended this to everyone ever since I discovered it, and will continue to do so. Thanks very much.